“Watching the Moon at Night” is now available for streaming on Vimeo! Please go to vimeo.com/ondemand search the title and rent the film for a 48 hour streaming. English subtitles! 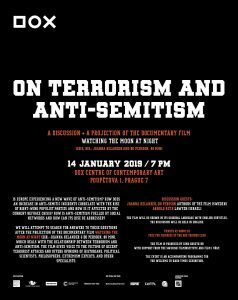 “The film is an intellectually informative, visually compelling, emotionally moving and highly disturbing exploration of the phenomena of terrorism in our time.” Dr. Michael Berenbaum, Los Angeles. 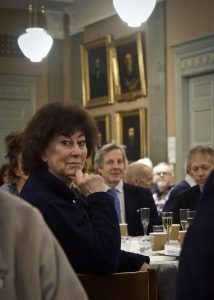 former President of the Shoah Visual History Foundation. Thank you to “The Friends of the Hebrew University in Stockholm” for the screening and discussion of issues raised by our film. Thank you for Marianne Ahrne for your participation in the post-screening discussion. 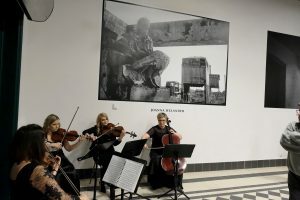 Great opening of Joanna Helander and Arek Gola exhibition in Ruda Chebzie new Art gallery in the rebuild train station. Simultaneously book release for “An Unknown Station” with their photos and poems of Ryszard Krynicki. Dear friends, please join us for the Czech premiere, Monday January 14, in Prague! Dear friends, Honored that “Watching the Moon at Night” is invited to the “Freedom Filmfestival” in Bratislava. Screening on Wednesday, November 7, in wonderful Kino Lumière. It will be the premiere in Slovakia – with subtitles in Slovak. Discussions after the film with filmmakers. Looking forward! Please, join us if you are nearby! Yesterday, Oct. 1, my close friend, the historian Walter Laqueur passed away at the age of 97 in Washington DC. Twenty-five years of inspiring friendship. 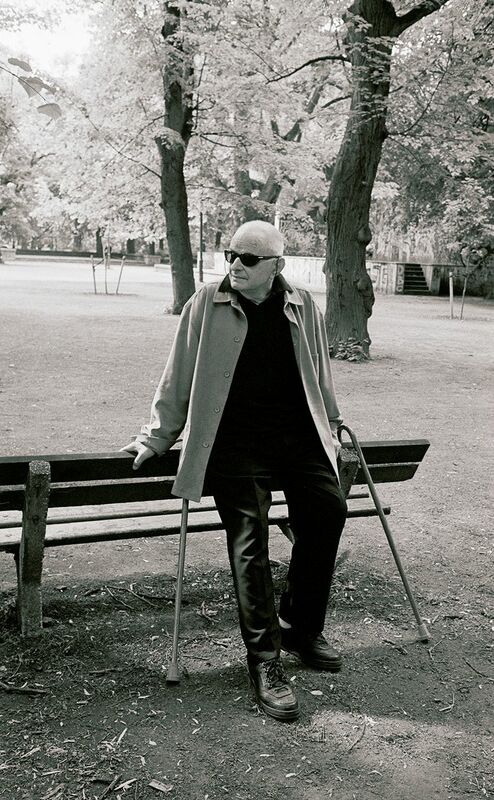 Walter was also an adviser for our film “Watching the Moon at Night” in which he himself has an important part. May his memory be a blessing. We are proud to announce that “Watching the Moon at Night” will be screened at JCC, Jewish Community Centre in Manhattan on April 24. 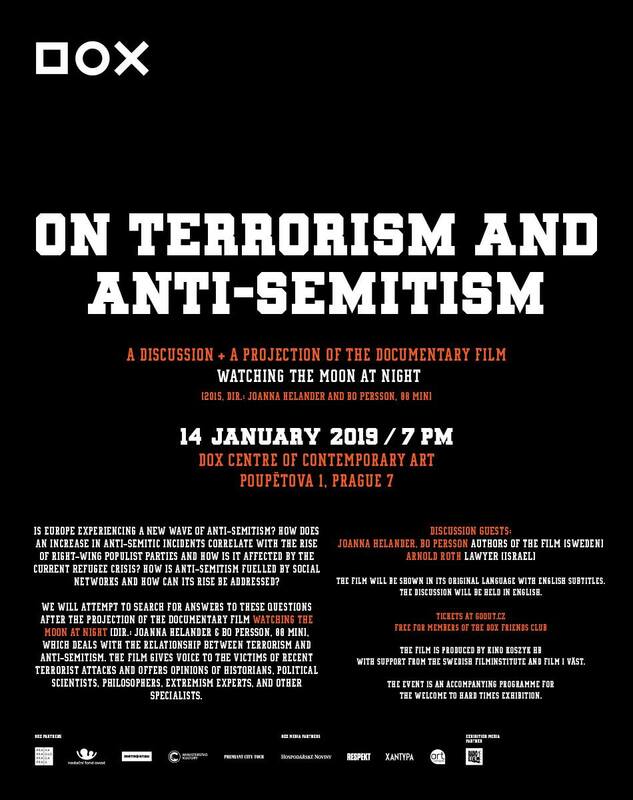 Screening organized by Algemeiner and JCC. Welcome if you are in town! “Watching the Moon at Night” to film festival in Poland. Bo Persson and Joanna Helander’s new film ”Watching the Moon at Night” has been invited to the main competition section of the International Film Festival with Jewish Motifs in Warsaw, May 8-10. The film will be screened both at Kino Muranow and at POLIN, the new museum for the history of Polish Jews. ”Watching the Moon at Night” had a pre-premiere screening in the Swedish Parliament and will soon be distributed to Swedish theatres. Screening at the Swedish Parliament. ”Watching the Moon at Night” was invited by the Swedish Parliament in Stockholm for a pre-premiere screening on January 21, 2015. The screening was followed by a panel discussion about the issues raised by the film. 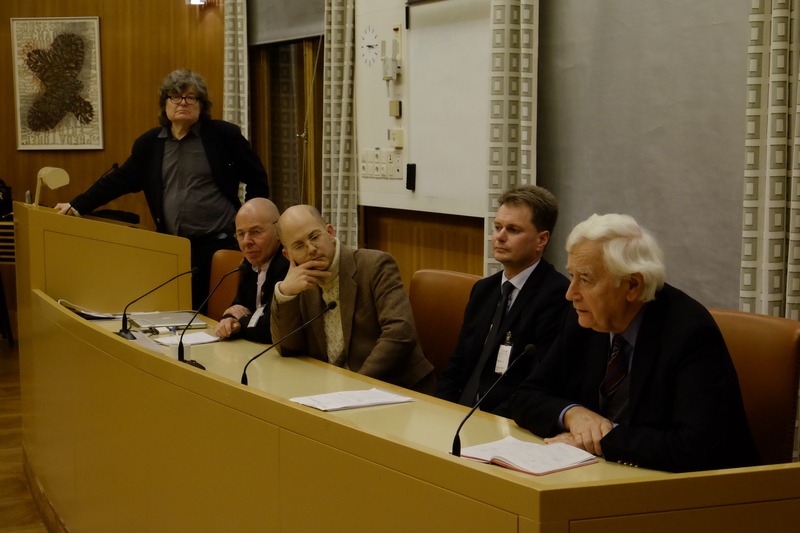 The panel included Ambassador Rolf Ekéus, Willy Silberstein from the Swedish Committee against anti-Semitism, Per Gudmundson from the newspaper Svenska Dagbladet and Johan Sjöö from the Swedish Security Service.